Delivering the best in world travel, cuisine, fashion and leisure to high-income individuals. Sign up for our Newsletter now to get all exclusive information from HudsonMOD. What was the exact turning point in your career when you decided, “screw the conventional, I’m going to start developing more interesting pieces”? 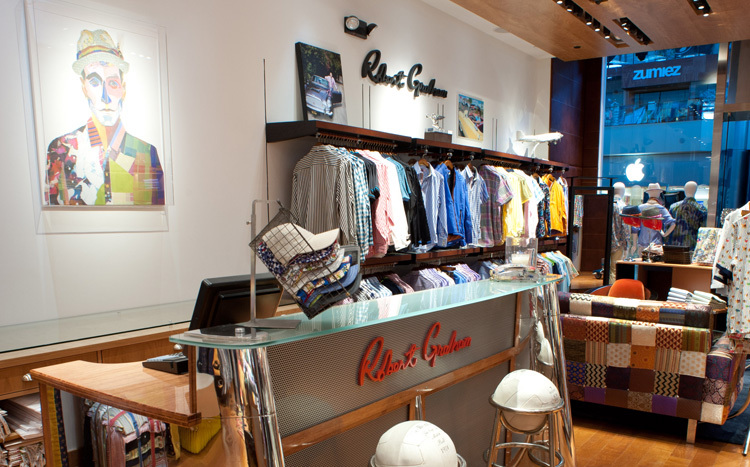 Well when I started Robert Graham, it was after I had been into my own brand, Robert Stock, for about thirty years. The reason I started Robert Graham was because I was getting tired of doing mundane fashion, which is more main-floor department store oriented fashion. And I knew I had it within myself to really go out there and design things that are a lot more desirable and a lot more exciting. Would you characterize it as a business venture or was there a deeper, more personal desire for artistic expression? Well there’s always a love for the design and the design process. And it was exciting. Being in this business for as long as I’ve been in, I don’t have to do it—it’s because I love doing it. [Robert Graham] keeps me going, but it also gives me an ability to constantly express myself every day of the week. It keeps my mind occupied; keeps me busy. Well Graham was my partner; there were two of us. He was a textile designer who I used to buy textile designs from. And I thought there was a great collaboration between a fabric designer and a pattern designer. That’s why we hooked up. Also to do it under Robert Stock—Robert Stock is known for sandwashed silk and I was going through all of these main floor product categories. And I really wanted to sell to the Neimans, the Saks and all the specialty stores. So that’s why I decided to collaborate with Graham and call it Robert Graham. You have been dubbed the “King of Silk.” Is it true that you were one of the first to recognize that sandwashed silk could be used for just about everything? I was talking to somebody very knowledgeable about the fashion industry and they very casually said, “I only pack that stuff when I go on a cruise.” To me that’s the knee-jerk reaction, isn’t it? Right, well the same [applies] for very fancy, overstated types of garments. But a lot of our garments are also very simple, very clean and very subtle. Until somebody really sees the whole breadth of our collection, they really don’t know exactly what we’re about. It’s more of a lifestyle collection than just a shirt. We make everything, soup to nuts. Do you sit there with a sketch pad and say, “I want this pattern for this design,” or do you give people latitude and let them play and come in and say “yes, no, yes, no”? A little of both. I’ll be in normally the early stages, the middle stages and the end stages of every design process. We have about 16 designers on staff now. And again, I think in any story that’s written, I think its really key that people understand that no man is an island—and in this business especially. You have to have amazing team work. And there’s a lot of left brain and right brain that really makes a design company successful. So its never really one person. One person can lead the charge, but you got to have a lot of people in the trenches really turning out great things. And that comes from the accounting department to the design department. Everyone has a big role. Its such a difficult business—a lot of people don’t understand how difficult it is. A lot of people just think garments appear on the shelves [laughs] and that’s it. But there’s so many different stages and there’s so much involvement in getting the product to the marketplace, that I personally always thank the people around me. Tell me about the Robert Graham location in the Mall at Short Hills. If you’ve been to the store in Short Hills, you can really feel what we’re about as a company. I curate every store specifically to my personal taste—as far as the knick-knacks and tchotchkes and things like that. I could’ve curated each store differently, but then that’s all I’d be doing! What celebrity would you like to dress? Say, if you could pick one man or woman—and for the next 12 months style everything they wear? There’s a whole bunch of them: George Clooney, Brad Pitt. If they came in and saw some of it, they would dig it. If they just looked at it from the peripheral they would probably say its too fancy for them. But if they actually sat down with us and worked with us they would really see that at least 20% they would really like a lot. I agree. 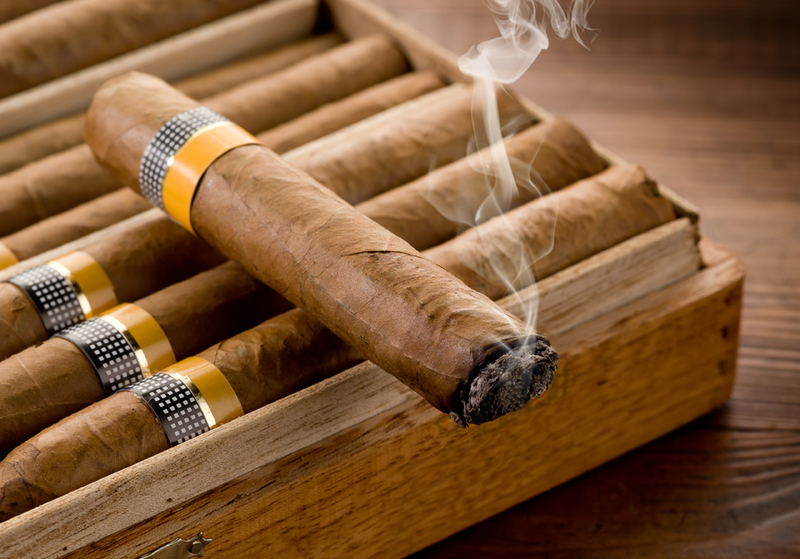 Its a unique American brand, and they’re almost like the epitome of the American guy. Also Matt Damon, all those guys. Basically the entire Ocean’s Eleven cast. We had one of the Schwarm brothers wearing one last night. And Blake Shelton. Mike Tyson—there’s a lot of cool people wearing it. A lot of athletes: Mariano Rivera, Albert Pujols, Mark Messier. You’d be surprised at all the different levels. You asked Peter Clark’s input to create a portrait for your 2013 collection to create a collage of the “Robert Graham Man.” Who is he and how much of him is you? He’s very eclectic. He’s very cool. And everything he has—its sort of like that bouillabaisse I was talking about earlier. You look at it, and its a lot of mixtures of a lot of different textures, fabrics and colors, but yet when you look at it its cool. As far as me, I wear Robert Graham every day, so I guess I’m the Robert Graham man! What is something that people may not know about you personally? I’m a very laid back type of person, who really doesn’t get too excited about too many things—other than sports. I’m a really big sports enthusiast. I was born twelve blocks from Yankee stadium, so obviously I’m a Yankee fan, Giants fan and Rangers fan. That’s my schtick. And I’m a big fan of my family, who are terrifically talented as well. And I love playing golf. Golf players seem like they would be a natural audience for your style. Have you ever been to any New Jersey courses? We shot our fall campaign at a Frank Wall lighthouse in Millstone, New Jersey. Whereas my sister lives in Jersey, coming from New York, coming from the Bronx, and only crossing over the Lincoln or the Holland tunnel—people don’t get New Jersey. It’s unfortunate. Because there are some areas that are just off the charts. From the Jersey shore to inland, to some of the great farm areas. There’s some great small towns and a lot of cool stuff. Jersey tomatoes! [laughs] And I belong to a golf course [Liberty National] in Jersey, which is probably one of the finest in the world. SIGN UP FOR HUDSONMOD TODAY! Copyright © 2017 HudsonMOD. All Rights Reserved.